Your spiritual journey is well under way, but just like Jesus, you were created for a mission. God says that when we serve others as “His hands and feet” in the world, our life blossoms into a thing of beauty that impacts the world in a positive way. Here at The Pointe, we are committed to assisting you in discovering what you were made for. We offer assessment in spiritual gifts and life skills, and do our best to help you find meaningful places of involvement in the church. 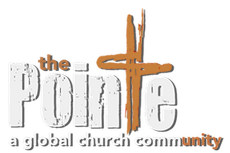 The Pointe is a safe place to explore your purpose in a safe and non-judgmental “lab” environment. You will love how your life is enriched as you move a step at a time into serving and caring for others.